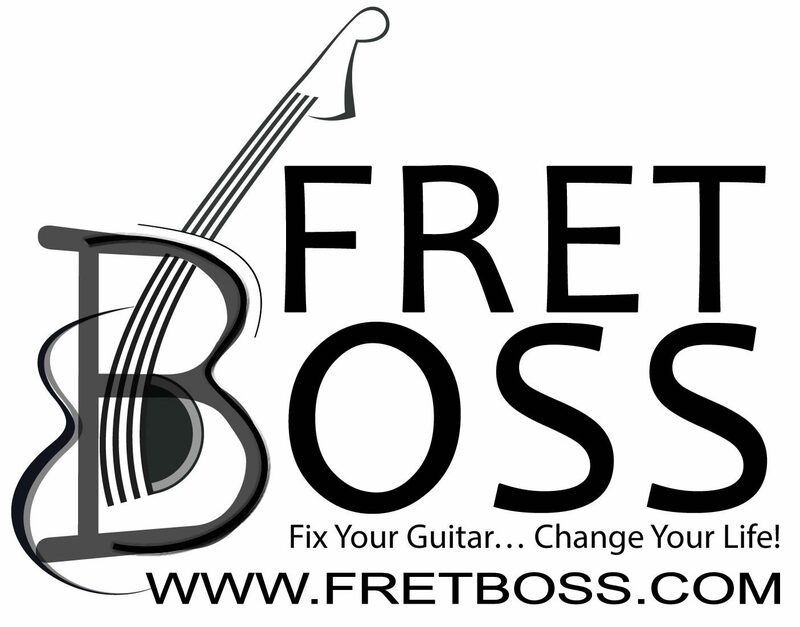 Fret Boss Guitar Works is located in Suite 101 of the Old Stonewall School on West Beverley Street in downtown Staunton, across from historic Trinity Episcopal Church. Beverley Street Studio School occupies the same building along with other businesses. The Old Stonewall School building has two street numbers — 217 and 219 W. Beverley: same building. On-street parking is available, or you can park in the small lot on the left side of the building or the larger lot behind the building. Suite 101 is on the far left side of the first floor. For easiest access, go in the doors on the left side of the building, next to the small parking area.